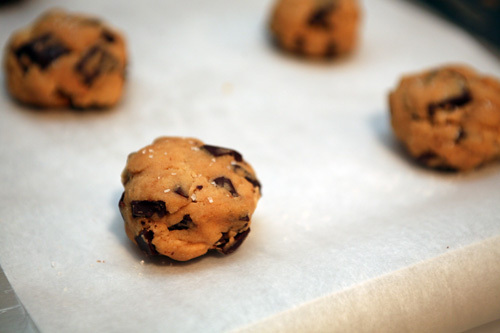 I didn't have a food blog in the summer of 2008, so I feel like I missed out on the David Leite's Chocolate Chip Cookie fun that I've read about in the archives of a few of my favorite blogs, like Orangette and The Kitchen Sink. 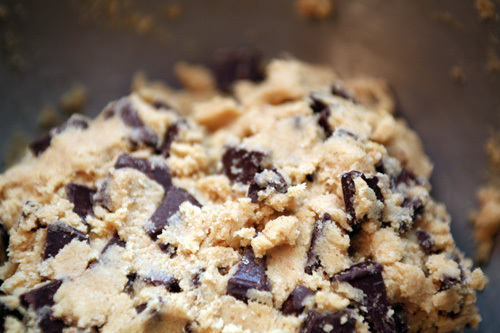 Now, I love a good chocolate chip cookie. Who doesn't? But I've seen plenty of recipes out there claiming to make the best chocolate chip cookies ever, so I was skeptical that this one would be any different from all the rest. I was intrigued, however, by the large amount of chocolate in the recipe...1-1/4 pounds for only 18 cookies! That, my friends, is a lot of chocolate. Also, the recipe called for the sprinkling of sea salt on the tops of the cookies just before baking...hmmm. I am a big fan of sea salt caramels, so this seemed like a touch that would agree with me nicely. Typically I would take a recipe like this and try to healthify it, using natural sweeteners and substitutes for the refined sugar, oil and white flours. But it had been awhile since I'd made a full-fat, high-cal decadent cookie, and this seemed just the recipe to indulge on. And it helped to know that I would be sharing the 18 resulting cookies with 12 friends and co-workers tomorrow during the inauguration ceremony. I followed David Leite's instructions almost completely, but did have to make two substitutions. 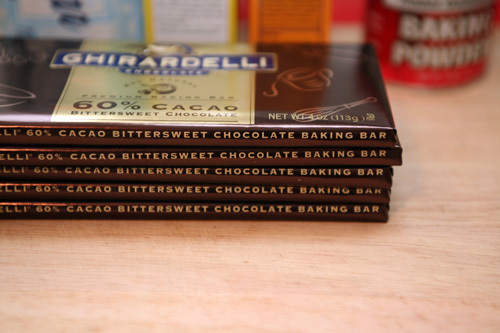 The first was to use ghirardelli chocolate bars chopped into 1/2" pieces instead of chocolate disks. The second was to replace the cake flour. I scoured the shelves on the baking aisle at Whole Foods and found no such flour. I decided to substitute the whole wheat pastry flour I had at home and hope for the best. A warning: the dough requires 24 hours of refrigeration before baking. I made the dough last night and of course sampled it, which made me all the more excited to come home from work tonight to bake the cookies. 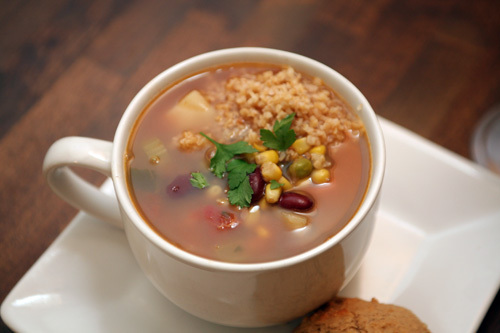 Its kind of nice, the phasing of the recipe. You get all of the mess out of the way the first night and are left with the simple pleasure of balling dough and pulling perfectly golden cookies from the oven the second night. 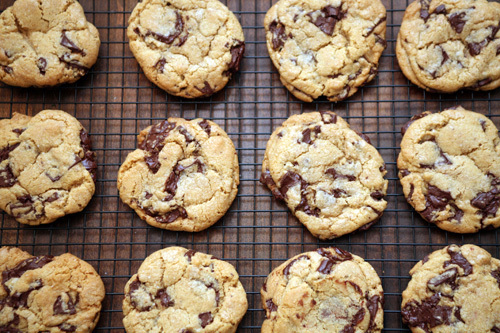 These cookies are worth the 24-hour wait and the extensive blogger hype. Totally worth it. They are perfectly crisp around their golden edges, soft and chewy in their centers. 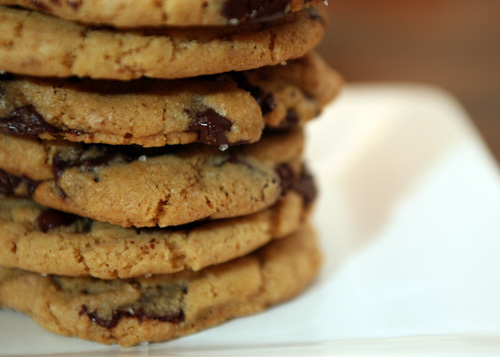 The sea salt adds an unexpected depth that heightens the flavor of the chocolate while at the same time reducing its richness...a quality that makes it even easier to finish the entire 5" mammoth cookie all at once. 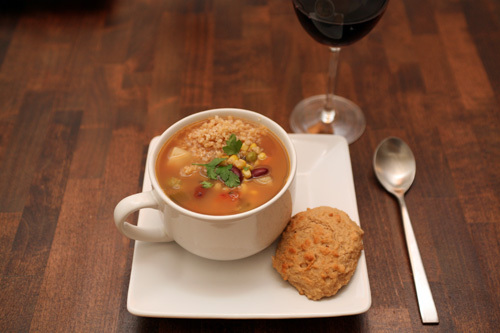 In case you missed the link above, here is the recipe and the article it accompanied. So tomorrow, as we welcome our new president and toast the changes to come with a group of friends, there will be cookies. I can't think of a better way to celebrate. 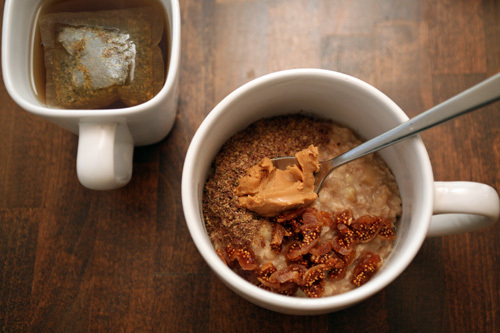 Breakfast: the standard oat bowl. I know, I know. But I love it and its very filling and that's good enough for me. 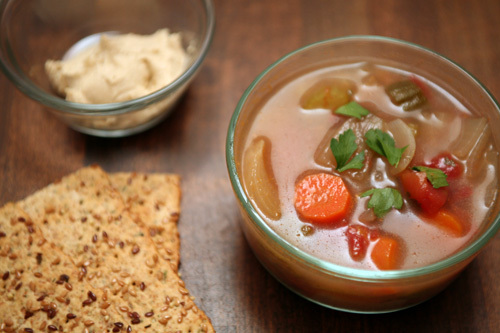 Lunch: leftover veggie soup, 3 Back To Nature Multigrain Flax flatbreads, 2 tbsp hummus. Snacks: my Oikos is back!!!!! 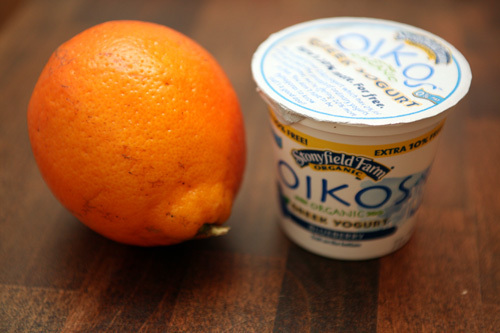 1 blueberry Oikos and a tangelo. Sadly, I didn't actually eat the Oikos 'cause I just wasn't hungry enough. The tangelo was excellent though. And I'm off. Have a great Tuesday, everybody! Happy Inauguration!! !